I'm 99.9% sure that anyone reading this is already a member of Gilt.com - but in case you aren't - now is a good time to check it out. Especially if you are pregnant or have kiddos. They have some great maternity dresses - like this Karen Maxi Dress from Nom. If I was pregnant right now - I could easily spend some money on this sale. Easily. Ok - but on to the fun kids sales. Like the Joyfolie sale. 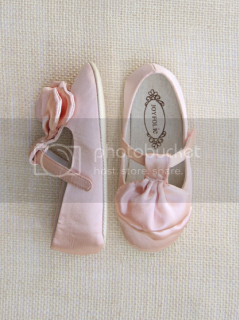 These shoes are adorable. The Amelie Soft Sole (pictured to the left) are adorable for a little baby learning to toddle around. I'm tempted to get a pair for Miss L to grow into. Anyways, I'm not going to point out all the cute stuff. I'll let you explore for yourself. 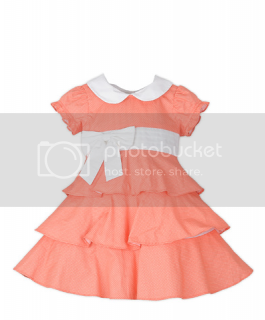 If you are looking for a dress for your little girl - check out the Joe-Ella dresses on sale. They are just adorable. This Bella Dress is my favorite. I love the color. Obviously, they have great sales for men and women too... but I don't have time to share it all. Just go browse for yourself. If for some strange reason you aren't a member yet, get a move on.